Dell Ascension Seton Medical Center at The University of Texas has attained Leadership in Energy and Environmental Design (LEED) for Healthcare Gold certification, a prestigious global green rating which identifies healthy, highly efficient and cost-saving health care buildings. 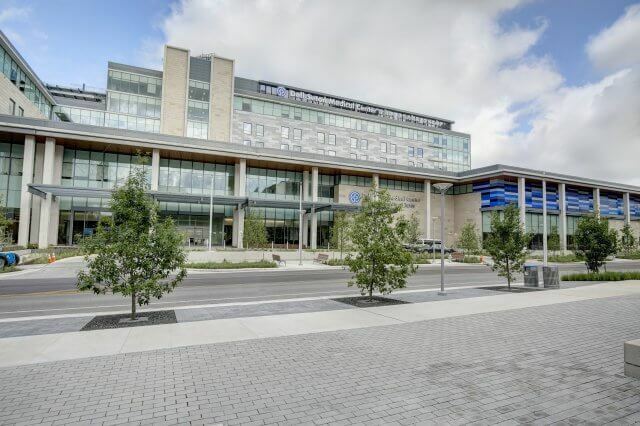 From its calming views of Waller Creek to its innovative water control systems, the academic medical center nestled in the heart of downtown Austin showcases an ideal combination of aesthetic design, cutting edge technology and dedication to a sustainable future. Seton is part of Ascension, the largest nonprofit health system in the U.S. and the world’s largest Catholic health system. Dell Seton’s LEED status continues Seton’s greater commitment to our community’s environmental sustainability. In 2007, Dell Children’s Medical Center of Central Texas was designated the first ever LEED for Healthcare Platinum hospital. Becker’s Hospital Review named Dell Children’s one of the 50 “Greenest Hospitals in America” in 2015. Independent research commissioned by Dell Children’s showed that compared to Seton’s non-LEED facilities, the LEED platinum hospital’s workforce had higher rates of employee engagement, health and well-being; and fewer cases of fatigue, injury and illness. Seton’s commitment to green building aligns with that of Dell Medical School. Throughout the design and construction, Ascension Seton collaborated with the University’s sustainability consultant to achieve a unified vision of environmental stewardship for the downtown health district. Both the Health Learning Building, located directly across the street from Dell Ascension Seton, and the Health Transformation Building also earned LEED Gold certification. What makes Dell Ascension Seton so green?